I want a smartwatch but I don’t want to spend more than $50… How do we pander to those demographics? One company decided to try and we went ahead to check them out. 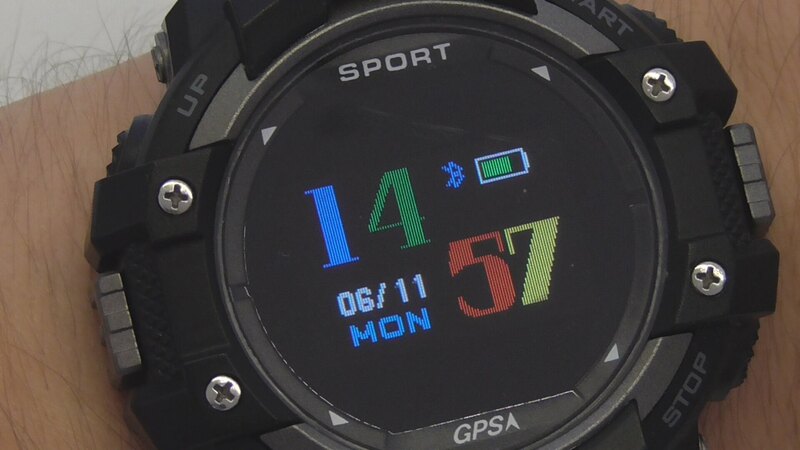 KKTick DT No.1 F7 is a smartwatch that set us back exactly $50. Apparently it has a compass, GPS, altitude meter, heart rate sensor, OLED color display and support for various sports too! Where’s the catch? This smartwatch fools the eye. 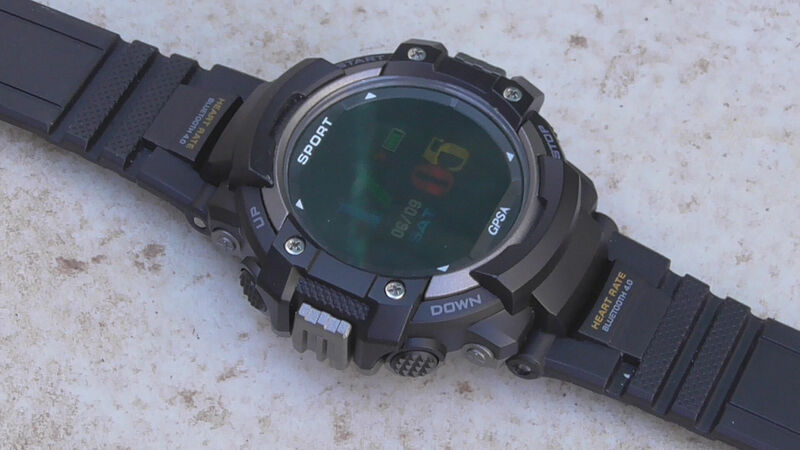 For something that, at first glance, looks like Casio’s G-Shock, this watch feels much more cheaply built. Black parts are plastic. Silver parts? Also plastic. Buttons and the strap? All plastic. 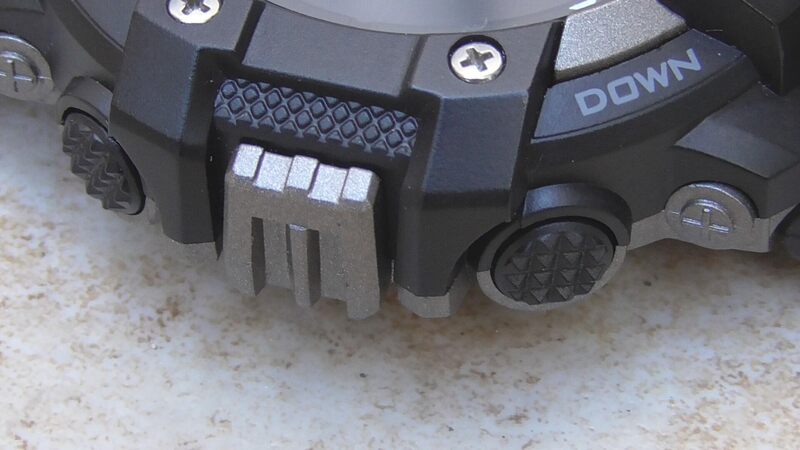 Of course, this watch wasn’t put in some extreme conditions during the review so I can’t say how resistant it really is. I just feel like it is not as resistant as it looks. This plastic just doesn’t give me confidence. The buttons have a strange click, probably due to water resistance. They are very similar to camera buttons where the half-press is for autofocus, and full press is for the shutter. It’s the same here, except that the first half of the click doesn’t do anything. Still, they’re good, tactile and you’ll get used to them very quickly. Another problem is vibration, which is weak and loud. Every time it vibrates, I hear everything shaking inside. Believe me, it does not sound good. The first thing that caught me off guard is the lack of touch screen. Of course, I’m not saying it’s a stupid move, it just seems easier to use smartwatches with a touch screen because the buttons are usually not enough to control complex menus that smartwatches employ. If that’s not a problem for you, this other thing could be. The screen can not be seen in direct sunlight. Turning the watch helps but this is still a big problem in sport-oriented smartwatches where most of their time will be spent outside. Likewise, it does not help the fact that the display is very small with a low resolution, which forces the menus to be simplified into pictographs. The screen would probably be good for some digital audio player, but for a watch? I doubt it. Ah, the part everyone was waiting for. What can this watch do and how to use it? You won’t find a bigger fan of cheap, funky Chinese technology than me – but I need to be honest – this watch has some issues. The first thing that struck me when I turned it on was the watchface. It’s awful. 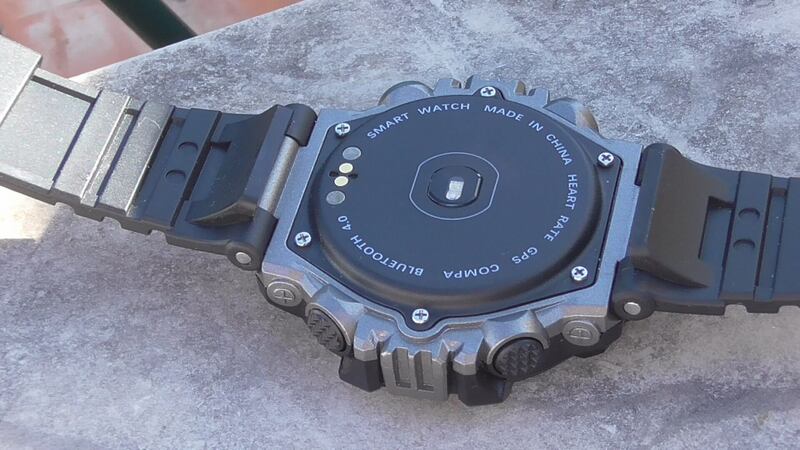 What is this, is it a toy or a serious smartwatch? I’m pretty sure this can not be changed because the same watchface is displayed in the ads and the menus have no theming options. This is not the only problem with it’s system. 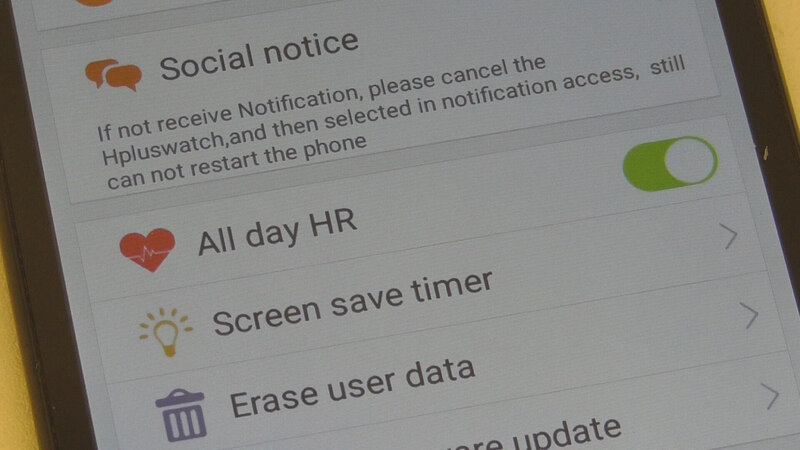 Wake on raise is also way too sensitive, waking the watch when I’m typing or walking around. Notifications come without any icons in a purely textual, bitmap-font format that often does not contain the content of the message. 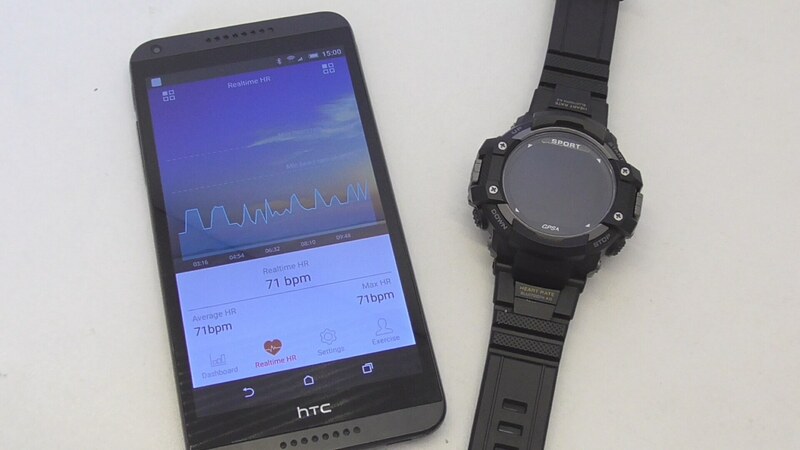 Another thing that seems off to me is the heart rate monitor, which reports data pretty imprecisely. Fortunately, the pedometer works surprisingly well. The data is written in the application about every half a minute and the pedometer counts my steps without breaking a sweat. Still, this system also has some positive things. After a little use, you will see that the menus are structured on pretty simple tree basis. Likewise, it supports a large amount of sports for its price so I can not say that everything is bad, but some issues need to be remedied urgently. Battery is an area where this watch really shines. Specifications say that a whopping 400mAh battery is hidden inside, but how this reflects on the battery life in real situations depends on many variables. Fortunately, its minimal operating system probably helps a lot here because this watch consumes less than 10% every day. Now, I’m not saying it achieves that with everything off. It does that with bluetooth and heart rate monitor turned on all the time! It’s been three days since I charged it up, I used GPS and it was constantly connected to my smartphone. Despite all this, it’s still is currently at about 80%. If the operating system got patched up, we could have something special in our hands. This smartwatch has its downsides, but it’s not all that dark. 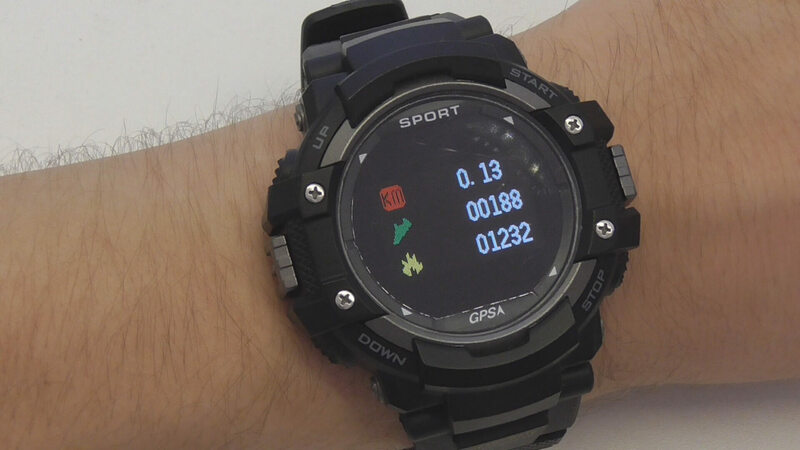 It’s not uncomfortable on your wrist, the buttons are pretty tactile and the GPS works fairly well when it acquires enough satellites, compass works good too. This watch could be a great gift for someone younger, with it they would surely be most fresh student in the classroom. If you are looking for a serious smartwatch that would accurately and reliably measure your fitness data and bring you notifications, you might want to check out a bit higher price group. Previous articleGearBest Summer DIY Video Contest is Kicking Off! I don’t know why anyone would want to use their watch to read messages. How addicted are you? The only negative point about this watch is the inability to see the screen in daylight, which kind of defeats the purpose of a gps watch if you can’t see it. The dim screen is a real tragedy since the watch is otherwise excellent.